Rarity was first released in 2006 with a DVD. She has Super Long Hair and was released with princess accessories. A royal celebration is in order, because the ponies have discovered that they are all real princesses! The fairy tale has come true â€” for everyone! Rarity was born in October and her favorite color is pink! She loves crystals and loves to have fun! 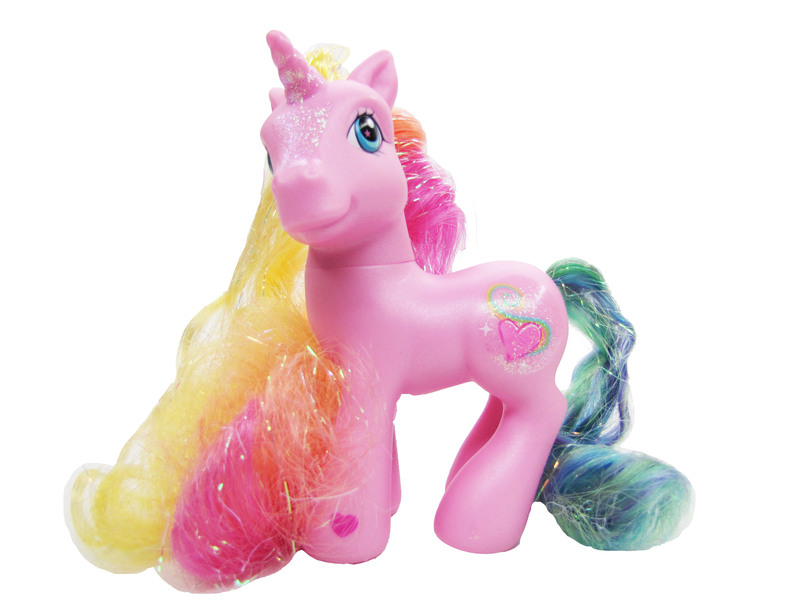 Brush this beautiful unicorn ponyâ€™s extra-long hair and style it with the pretty hair accessories! When pony touches the heart on the jewelry box, it â€œmagicallyâ€ opens! This pretty pony also comes with an exclusive MY LITTLE PONY DVD that includes a special music video â€“ PINKIE PIEÂ® and the Lady Bug Jamboree! Plus five fun songs: I Just Wanna Have Fun, Make A New Friend Every Day, Breezie Blossom, Friendship and Flowers and A Princess Is In Town. Includes exclusive MY LITTLE PONY DVD! Pony comes with jewelry box, â€œmagic wandâ€ ring, bow clip with ribbons, 3 flower barrettes, brush and DVD.